You have achieved the ultimate dream: working from home. Your office space is set up, you have all the needed supplies and you’re ready to get to work. But wait just a minute—is your office actually safe? Unlike a large office building, you don’t have an Occupational Health and Safety Department to analyze your office space, ensuring that all safety procedures are implemented. The safety of your office—and your home—is completely in your own hands. Corporations have safety measures in place for a reason; there are numerous workplace hazards that can put lives and valuable information at peril, fire being one of them. And unlike an office building, you probably don’t have the extra safety precautions in place, like sprinkler systems and exit signs. I know you have lots of important work to do, and deadlines are looming, but let’s take a moment to act like our own health and safety department by going over this home office fire safety checklist. 1. Be aware of electrical hazards. Electronics and cords are enemy No. 1 of fire safety, and a modern office is full of them. Loose or frayed wires, faulty electronics and overloaded plugs are all common fire hazards that often go unchecked. Ensure all your electrical cords and plugs are in good condition, and toss anything that looks loose, worn or frayed. Do not use an extension cord to service more than one appliance at a time. Extension cords are meant to act as temporary measures and are not to be used for long periods of time for any device. 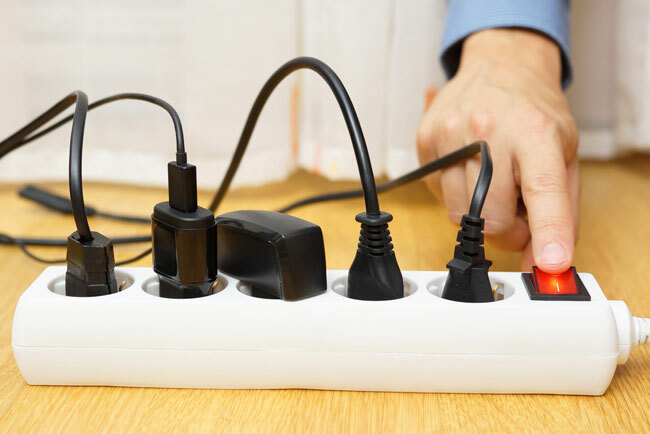 Use power strips for light loads such as computers, printers and cell phones, but be sure to unplug the strip or flip the switch to off when not in use. Buy a strip that has an internal circuit breaker to prevent overloading and overheating. Ensure light bulbs do not exceed the recommended light fixture wattage. If you must use a space heater in your office, then use a radiator-type heater with a tip-over switch (not a coil space heater), and keep them clear from all papers, curtains, clothing, chairs and rugs. 2. Organize and store your papers properly. Do you have piles of paper everywhere? This clutter may be more dangerous than you think. Keep all those valuable documents safe by replacing paper or cardboard file boxes with metal or fireproof ones. 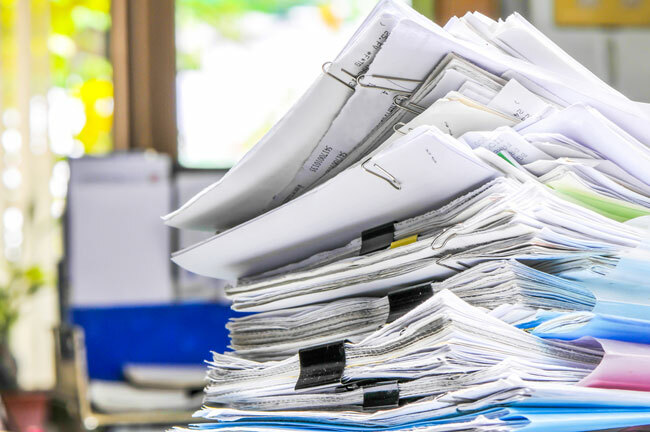 Clean up all office clutter and store all papers away from heaters, light fixtures and other heat-generating appliances such as copiers and coffee makers. Create an organized desk space that contains the bare working necessities. Allow for air space around all sides of heat-generating appliances such as computers, copiers, printers and chargers. 3. Check out your chargers. It seems our phones and computers are always charging, but how safe are phone and computer chargers and what are some common fire hazards we are risking every day by using them improperly? Don’t charge your phone or computer overnight or for long periods of time unattended. Create a charging station that is safely away from all combustibles such as wood, paper and cardboard. Do not leave phones and computers unattended near or on flammable materials such as beds, couches, curtains and pillows. Always use the authentic cables and chargers that came with the devices. 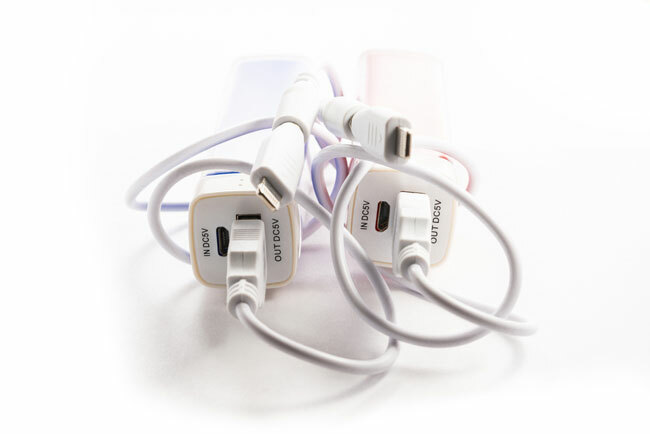 Do not purchase cheaper, non-brand cables and chargers as they are not always built with the correct wattage or amp rating that your device requires. Always buy directly from the manufacturer and beware of cheap counterfeits as they are not always built with safety in mind. 4. Follow a yearly office safety maintenance plan. Prevention is paramount when it comes to fire safety. When you are your own boss, you’re also taking on every office role—including the role of the health and safety department, so be sure to conduct yearly office inspections. Install a smoke detector in your office space. It’s best if all your home detectors are interconnected so if one goes off, they all go off. Update the batteries yearly and test it monthly. Buy a fire extinguisher for your home office and perform monthly maintenance inspections on it. Create an office safety checklist that covers all aspects of office safety, allowing you to easily remember what needs to be inspected. Have a fire exit strategy in place and practice it often. 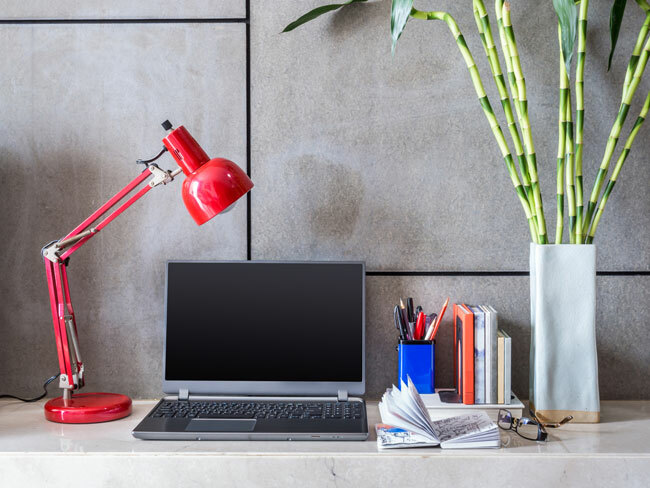 Running your own home office comes with a lot of responsibilities, but your biggest job is to protect the safety of your home, loved ones and belongings. By following these simple fire prevention tips, you can get back to enjoying the satisfaction that comes with working from home. Shelley Little writes about home and office safety for The Home Depot, giving tips on how to live and work in a safe environment. 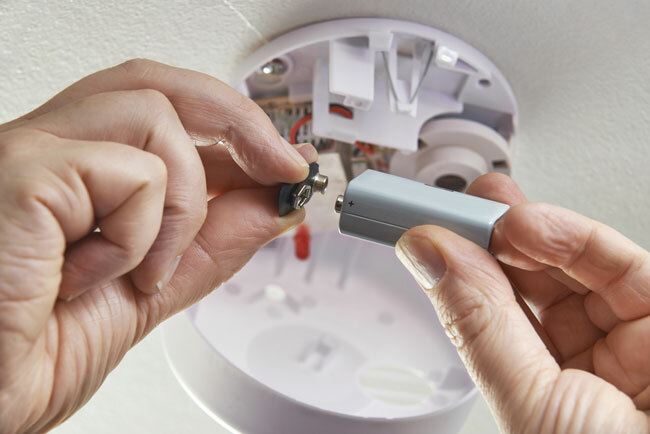 One of the biggest ways to keep your home safe is to prevent fires by installing smoke alarms. Click here to see a variety of fire detector options from The Home Depot. Wow, superb weblog format! How long have you ever been running a blog for? you make running a blog look easy. The full look of your web site is magnificent, let alone the content material!